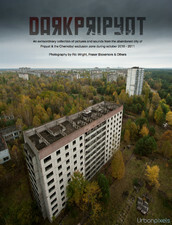 This image is one of the most stunning paintings i’ve seen so far in the abandoned city of Pripyat in northern Ukraine. 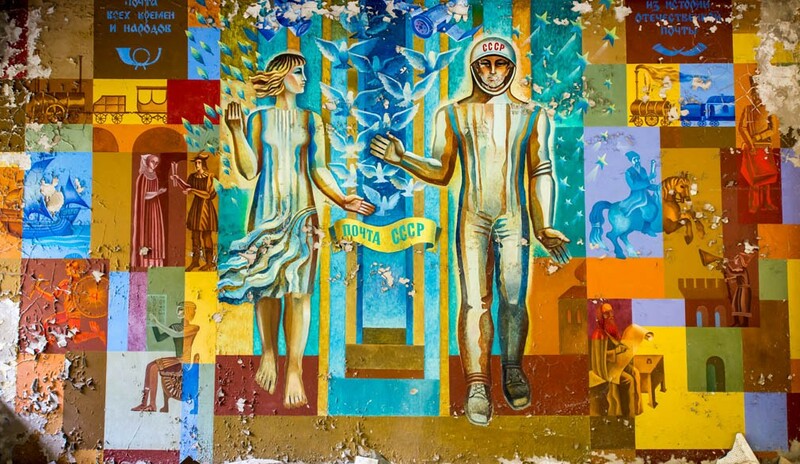 It depicts the soviet citizens enjoying peace with the image of the doves and on the right it also shows the superiority of the Soviet people as the first people into space. This image was taken on my 2012 visit to Chernobyl and Pripyat, Pripyat of course is the abandoned city near the Chernobyl nuclear power plant which exploded in 1986 leaving the city un-inhabitable.